Light reflection, which corresponds to target 10 of the HQE process, allows us to work out a visual comfort index. Expressed as a percentage, this value represents the relationship between the light projected on to a carpet and the light it reflects. The higher the light reflection, the lighter the carpet colour. A light-coloured carpet will therefore reflect a greater proportion of light, but, on the other hand, will need a care regime designed to protect the coloured appearance of the carpet. 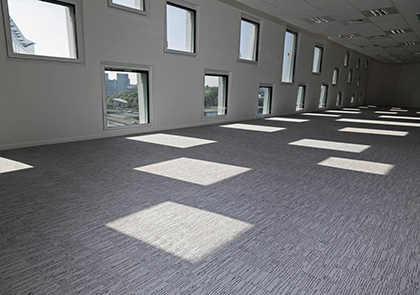 A carpet with more than 20% of light reflection can therefore be considered highly reflective. This ability to adjust the levels of light reflection in your environment brings unparalleled comfort and flexibility. Enjoy the relaxing warmth of a beam of light!